According to the National Institutes for Health, asthma is a chronic lung disease affecting more than 300 million people worldwide—25 million in the U.S. alone, including 7 million children. Because it inflames and narrows the airways, the disease significantly affects quality of life, causing recurring periods of wheezing, chest tightness, shortness of breath and coughing. The incidence of asthma is rising as more Americans subsist on high-fat, low-fiber diets, especially in low-income urban populations where air quality is also an issue, and as a result, health disparities are widening based on socioeconomic status. In fact, experts predict 100 million new asthma diagnoses worldwide by the year 2025. With funding through a $100,000 grant award from the Flinn Foundation under its Translational Research in Precision Medicine Seed Grant Initiative, Emily Cope, NAU assistant professor of microbiology and assistant director of the Pathogen and Microbiome Institute, is working on a novel therapeutic for asthma. Although there is no cure for this complex disease, Cope recently launched a two-year clinical study to determine whether adding low-cost prebiotic soluble fiber supplements to a patient’s diet can help improve asthma symptoms. Her theory is that as a patient’s gut microbes metabolize the supplements, the resulting increase in short-chain fatty acids (SCFAs) will reduce airway inflammation, alleviating symptoms and improving quality of life. Previous studies have shown a surprising connection between dysfunction of the gut, or gastrointestinal microbiome, the regulation of immune function and the development of pulmonary diseases such as asthma. “Emerging evidence indicates that there is great potential in manipulating the gut microbiome-lung axis to treat airway diseases,” said Cope. Because economically disadvantaged populations typically get less fiber in their diets for a variety of reasons, this health disparity is contributing to higher rates of asthma among these populations. Collaborating with Mayo Clinic physicians Matthew Rank and Devyani Lal, Phoenix Children’s Hospital pediatric pulmonologist James Woodward, as well as with NAU associate professor Andy Koppisch, Cope’s clinical study will focus on a cohort of patients from the Severe Asthma Clinic at Phoenix Children’s Hospital. The team is recruiting 10-20 children, ages 6-17 years old, who are suffering from a specific type of airway inflammation from asthma. In this double-blind study, randomly assigned participants will ingest soluble corn fiber in a fruit-flavored beverage over a 4-week period, while others will ingest a placebo. The team will test blood, stool and nasal samples before and after the fiber intervention to measure the outcomes. An earlier pilot study Cope conducted as part of the Southwest Health Equity Research Collaborative (SHERC) laid the groundwork for this Flinn Foundation project. Working with NAU associate professors Greg Caporaso and Andy Koppisch, Cope conducted tests on mice to see how the fiber supplements affected their airway inflammatory response. On Saturday in Birmingham, Northern Arizona University long distance runner Geordie Beamish won the Men’s Mile Final at the 2019 National Collegiate Athletic Association (NCAA) Indoor Track & Field National Championships. The New Zealand native finished the race in 4:07.69, less than one minute ahead of Villanova’s Casey Comber (4:08.03). Beamish had the fastest time at both the 409-meter and final split—when the bell rang for the final lap, it was clear he would accept nothing less than the gold medal. Despite having been boxed in and at times being situated at the back of the field, he was able to push through the last lap and come out on top. Beamish has secured his place in NAU history not only as a member of three NCAA cross country national championship teams, but now as an individual champion for indoors. This is the fourth time in NAU indoor track & field history that a male student-athlete has won an individual championship: in 2007, Lopez Lomong won the men’s 3000-meter run; in 2010, David McNeill won the men’s 5000-meter run; and last year, Andy Trouard won the men’s 3000-meter run. This is the first time in the NAU men’s track & field program history that two athletes have earned the gold at NCAA Indoor National Championships in back-to-back years. 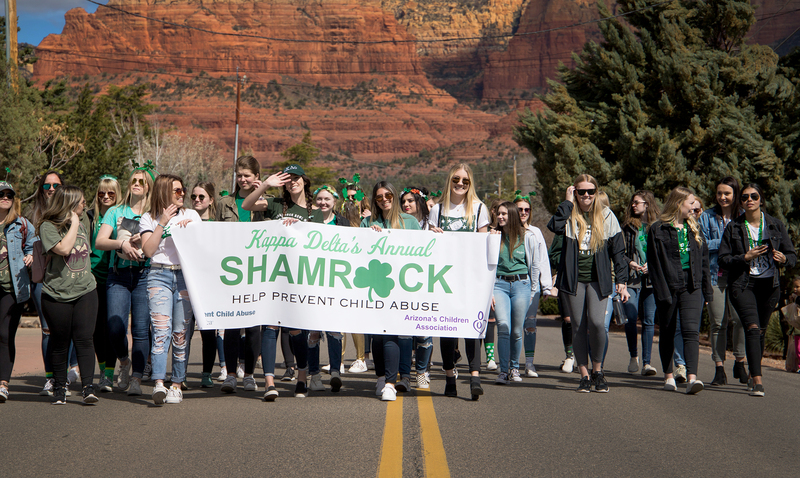 Several thousand viewers showed up on Saturday for the St. Patrick’s Day parade to watch the sea of green wind through the streets of uptown Sedona. What they didn’t see, however, were the more than 50 Northern Arizona University students who worked behind-the-scenes to make sure the event was a success. For the past 25 years, students in the Parks and Recreation Management Program at NAU have put what they learn in the classroom to the test. 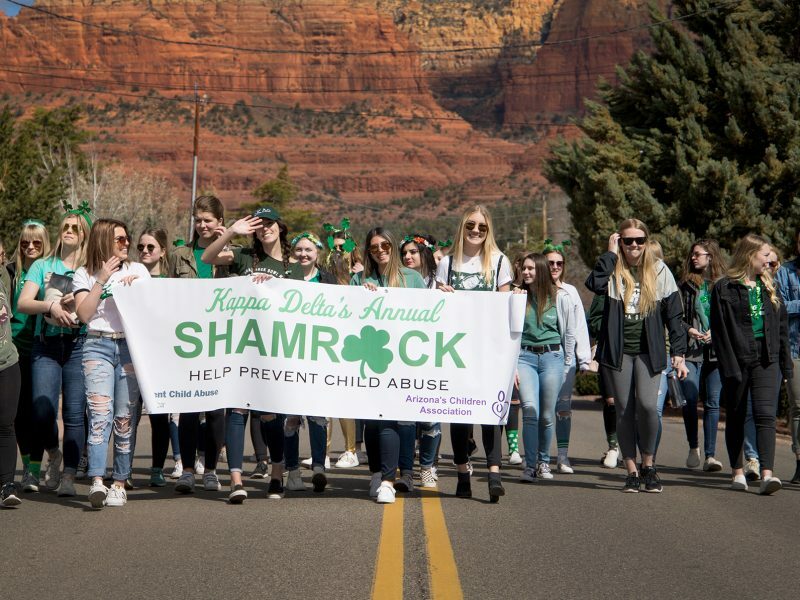 Each year, the students in the program’s special event planning class (PRM325) work with the City of Sedona to plan, coordinate and implement the annual Sedona St. Patrick’s Day Parade—this year was no different. To plan the community event, the class was separated into teams—grandstand, registration and streets—and went to work. Students created and designed awards, banners, event shirts and flyers that were used in the parade and to promote it beforehand, and coordinated rental equipment deliveries, pick-up and billing. 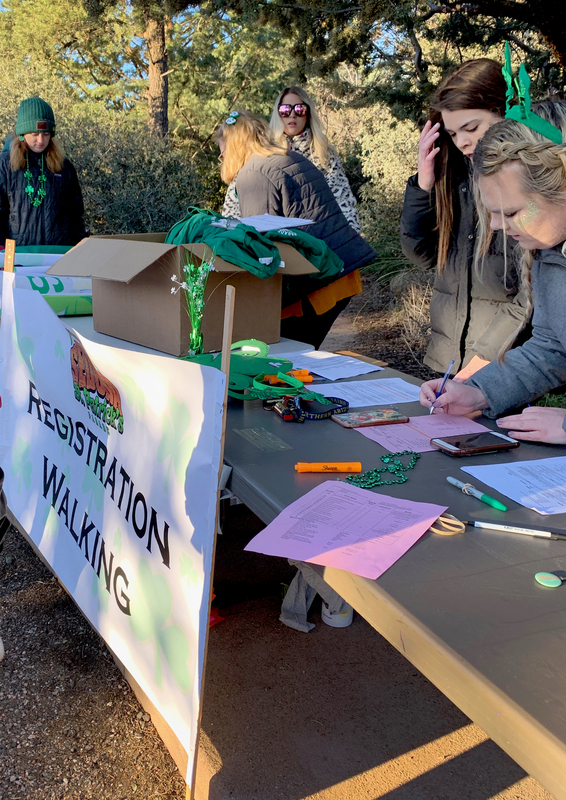 They also were required to create and send letters to search for entrants and potential sponsors and took field excursions to Sedona to hand deliver flyers and letters to local businesses and residents. This year, 47 entrants participated in the parade, up from last year’s 42. 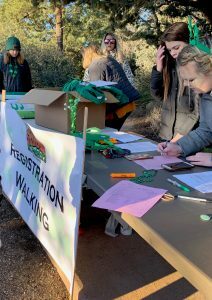 The students get to practice communication—both between themselves and the clients with which they work—planning, coordinating, organizing and executing, all while working on a tight timeline set by the Sedona parks and recreation department manager. The real-world experience the students receive from getting to work on such an elaborate event is priceless, said Finlayson. To help further student understanding of parade and event safety and risk management, students are required to obtain two FEMA certifications: Special Event Contingency Planning for Public Safety Agencies and Safety Orientation. Students use information from these online courses to create and implement an emergency action plan, should an emergency happen during the parade. Luckily, Finlayson said, the students didn’t need to use their newly-acquired FEMA background—this parade was disaster-free. In the field of physics, everything that has mass and takes up space is matter. Active matter consists of many self-propelled entities uniting to create large-scale structures and movements, such as a group of molecules interacting to enable muscle contraction, or a flock of birds synchronizing in flight to form complex patterns. Active matter has become a major subject of research over the past several years, promising to revolutionize everything from medicine to robotics. Physicists theorize that by converting the internal energy of active matter into motion, they can ultimately harness active matter to create materials that behave like living organisms, and maybe even self-replicating nanomachines. John Gibbs, assistant professor of physics at Northern Arizona University, was recently awarded a $502,000 grant from the National Science Foundation (NSF) to build on research he’s been conducting in the field of active matter. The award will support a five-year project during which Gibbs and his team will develop a unique system of microscale self-propelled particles (SPPs) that will enable them to control the movement and interaction of colloidal SPPs (moving microparticles suspended in a liquid) in unprecedented ways. Gibbs’ system will combine several innovative properties, including controllable particle speed, made possible by modulating the intensity of an external activating light source; a new fuel-free method of microscale motion; and tunable long-range interactions between the particles. “Our main innovation is employing repulsive magnetic dipole-dipole interactions so that our active colloidal particles do not come into direct contact, which overcomes the limitation of the particles jamming or ‘freezing.’ More importantly, through targeted engineering, we can exploit this same repulsive force so that the particles show highly correlated velocity directions; in other words, the particles automatically align their motion in the same direction, mimicking systems encountered in nature,” said Gibbs. Although Gibbs’ work is still in the exploratory stage, he sees some potential for technological advancement and possible commercialization down the road. One exciting potential application is in nanofabrication—methods for manufacturing on the nanometer scale (one nanometer is 10-9 meter, or a millionth of a millimeter)—that may open the door to new technologies, such as high-sensitivity molecular detection devices, among many others. “I envision being able to utilize our unique system for unprecedented nanofabrication capabilities. Even further into the future, I believe this project will help sow the seeds of complex nanomachinery with many cooperating moving parts,” said Gibbs. “I am very proud to be included in the list of CAREER awardees,” said Gibbs. Several graduate students are working on this project with Gibbs—MS student Brad Landry; Taylor Thomas, who is expected to be in the very first class of students in the new Applied Physics and Materials Science PhD program, which begins in fall 2019; and bioengineering PhD student Sam Sarkar. The project also includes undergraduate students John Castañeda, Mingyang Li and Andrew Leeth Holterhoff from the Gibbs Research Lab. The team will also disseminate this research through outreach to K-12 students and the local community via the Flagstaff Festival of Science. Gibbs, an experimental condensed matter physicist, joined the faculty of NAU’s Department of Physics and Astronomy in 2014. He is also a core member of the recently launched Center for Materials Interfaces in Research and Applications (¡MIRA!). Gibbs’ research interests cover the physics and applications of nanomaterials, including optical and mechanical properties, metamaterials and propulsion at the nanoscale. In 2018, the Research Corporation for Science Advancement (RCSA) named Gibbs a Cottrell Scholar, an award that included a three-year, $100,000 grant to advance his teaching and research. One of only 24 top early-career teacher-scholars selected nationally from the fields of chemistry, physics and astronomy—and the first from NAU—Gibbs was chosen for his proposal to study the fundamental principles of active matter. Established in 1950, Northern Arizona University’s Curry Summer Music Camp (CSMC) is Arizona’s first and oldest music camp for young adults. Celebrating its 70th anniversary this year, the camp is offering rollback pricing on its 2019 registration for a limited time. The CSMC offers two sessions during the summer: The junior session, June 16-22, and the senior session, June 23 to July 6. Originally started by music teachers, CSMC provides young musicians with instruction and advancement opportunities in their musical fields. During a typical day at camp, students attend lessons and perform in various classes, workshops and recitals. Students later enjoy activities such as dances, talent shows, movies, performances and more. Campers may stay on campus in Allen hall or attend camp as a commuter. Campers have the opportunity to tailor their experience to band, choir, compositions, jazz band, jazz choir, musical theatre, piano or orchestra. Sarn said the experience of living on campus, attending classes and performing in state-of-the-art performance halls helps prepare students for what college may bring. Early registration for Curry Summer Music Camp at NAU is offered through March 10. The scholarship application deadline is April 19 and regular registration closes June 6. For more information, visit nau.edu/music/summercamp or call (928) 523-2323. 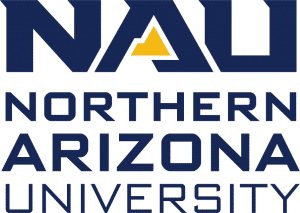 After winning nine individual events, the Northern Arizona University swimming and diving team not only left the Houston meet this past weekend as six-time Western Athletic Conference (WAC) champions but also broke several school records along the way. Over the course of the four-day meet, the Lumberjacks racked up 772.5 points, outdistancing themselves from the New Mexico State runner-ups by nearly 200 points. 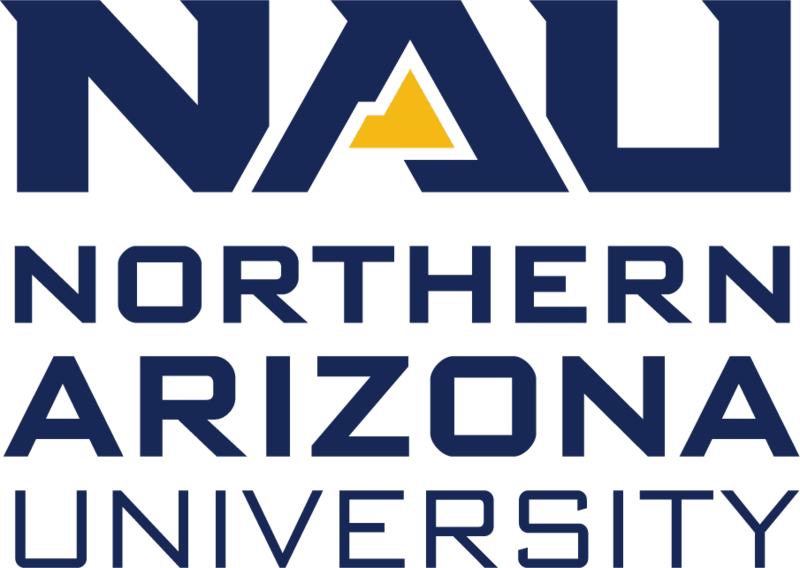 The NAU seniors are the third class to have won a championship every year. Three days into the meet, the Lumberjacks had racked up 568.5 points—with some of the team’s best events still ahead, including the 1650-meter freestyle, 200-meter backstroke, 100-meter freestyle, 200-meter breaststroke and 200-meter butterfly. The final race of the WAC Championship was the 400-meter freestyle relay, where NAU placed second. Elisa Rodriguez, Monique King, Katy Smith and Miranda Nichols completed the event with a time of 3:21.53. 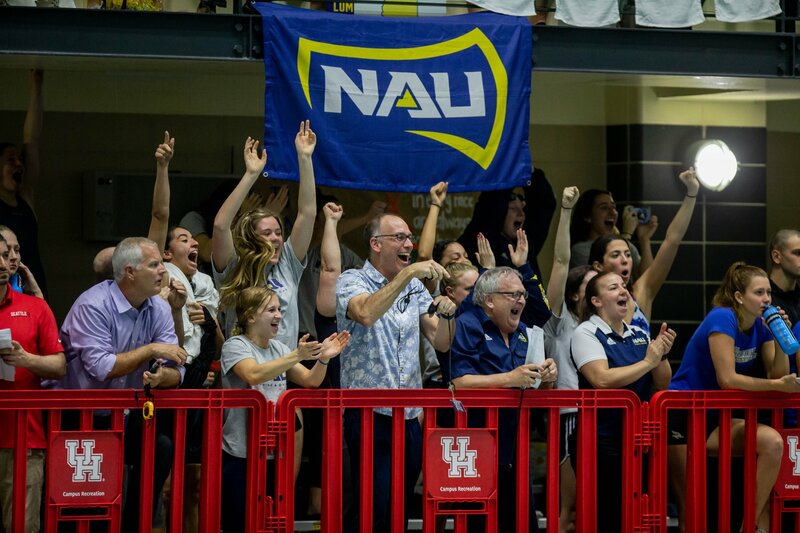 In total, NAU won four of the six events on day four. Tatiana Kurach took home two wins on the boards, and Rodriguez and Hope Williams also won two individual medals apiece in the pool. The team will be back in Flagstaff, March 11-13, for the last time this season, where the Lumberjack divers will compete in the Zone Diving competition. A full list of rankings and photos from the event can be found online.